India’s DRDO has flight tested the SFDR propulsion based missile system. Credit: Press Information Bureau / Indian Ministry of Defence. 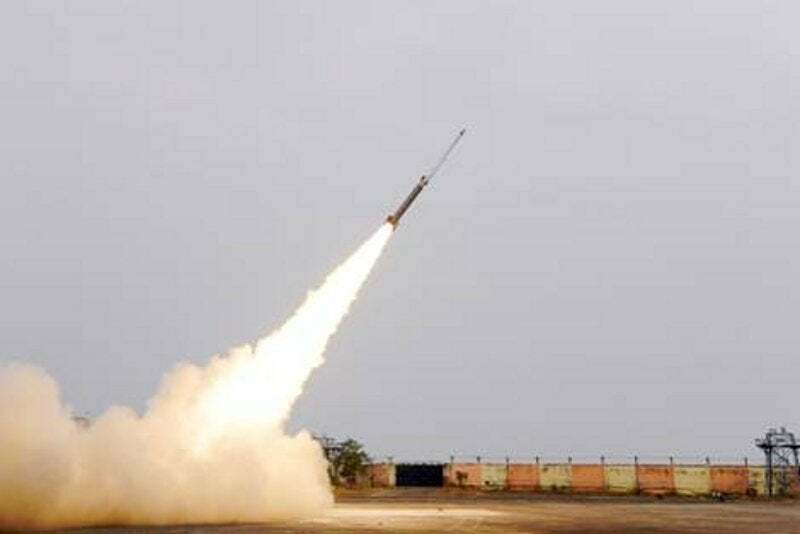 India’s Defence Research and Development Organisation (DRDO) has carried out the flight test of Solid Fuel Ducted Ramjet (SFDR) propulsion based missile system. The testing of the second indigenously developed technology SFDR was conducted from the Integrated Test Range (ITR), Chandipur, Odisha. During the test, the missile was launched and guided to reach a high altitude to simulate aircraft release conditions. Following this, the ignition process of the nozzle-less-booster was initiated for the SFDR based missile to achieve ramjet Mach. Defence scientists found that the performance of the ground booster, separation of the ground booster and nozzle-less-booster to be ‘satisfactory’. Defence Minister Nirmala Sitharaman and other officials congratulated the defence scientists on the success. The Defence Research Development Laboratory (DRDL) is serving as the project’s lead agency. In a separate development, the Indian Army has reportedly flight tested the helicopter-launched, anti-tank guided missile (ATGM) Helina. During the trial, the weapon system was tested for its full range. The DRDO-developed Helina system is the helicopter-launched version of India’s NAG missile and has a hit range of 7km to 8km. It is considered to be one of the most advanced anti-tank weapons in the world.